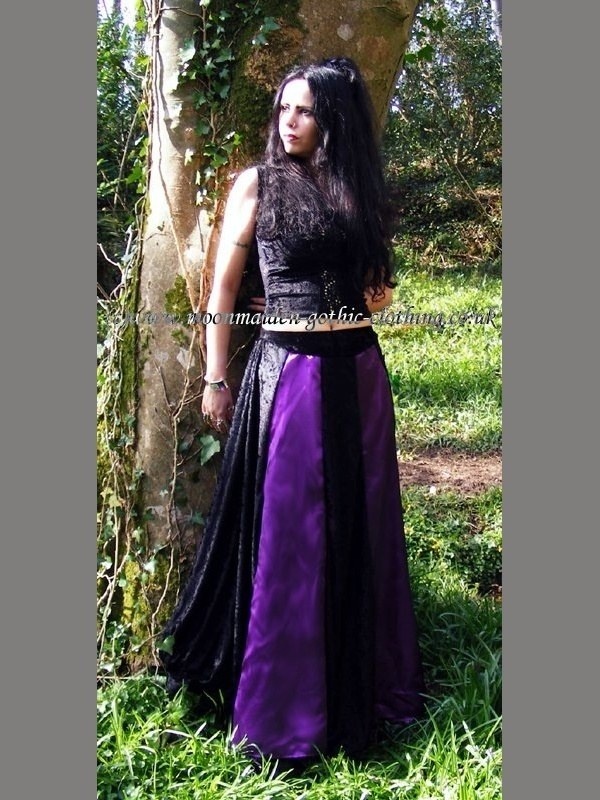 Here's the beautiful LILY SKIRT!<br> <br> Made from Crushed Velvet and contrast panels of shimmering Satin, this skirt has an elasticated waistband; each panel flares out towards the hem of the skirt, making for a very full and floaty skirt! Here's the beautiful LILY SKIRT! Made from Crushed Velvet and contrast panels of shimmering Satin, this skirt has an elasticated waistband; each panel flares out towards the hem of the skirt, making for a very full and floaty skirt!